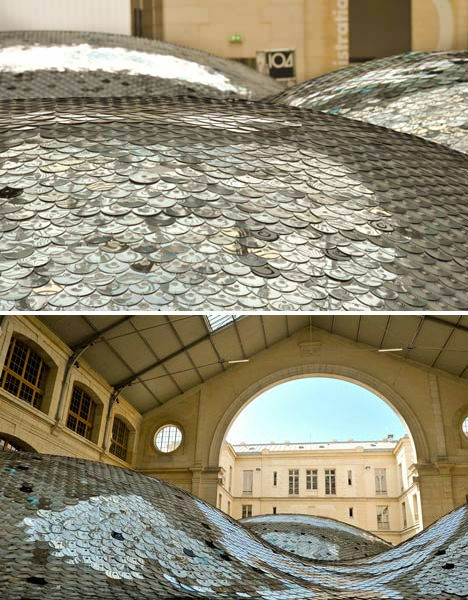 Glistening like the scales of a terrifyingly enormous sea creature, the bizarre landscape covering the floor of the Centquatre art space in Paris is delightfully surreal. 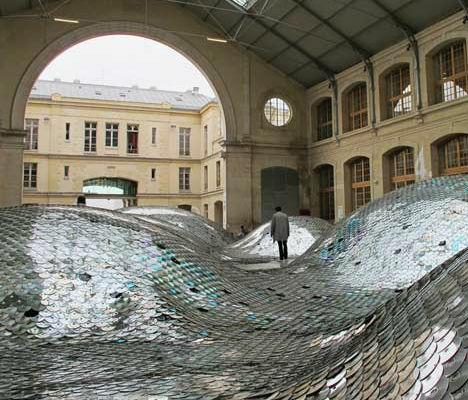 WasteLandscape is an art installation in a former funeral home, made of 65,000 discarded CDs. 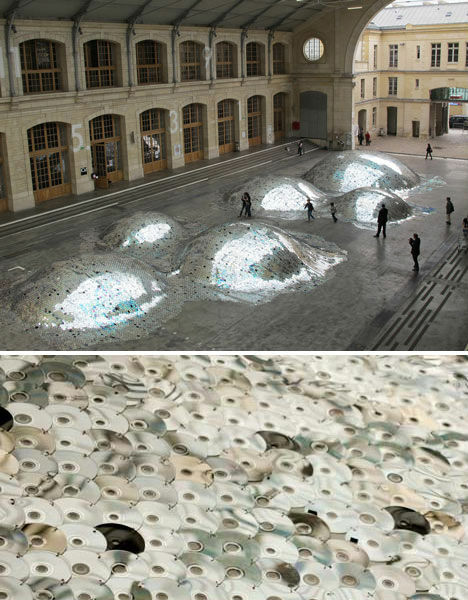 Architect Clémence Eliard and artist Elise Morin collected the CDs and connected them into a reflective blanket using wire. 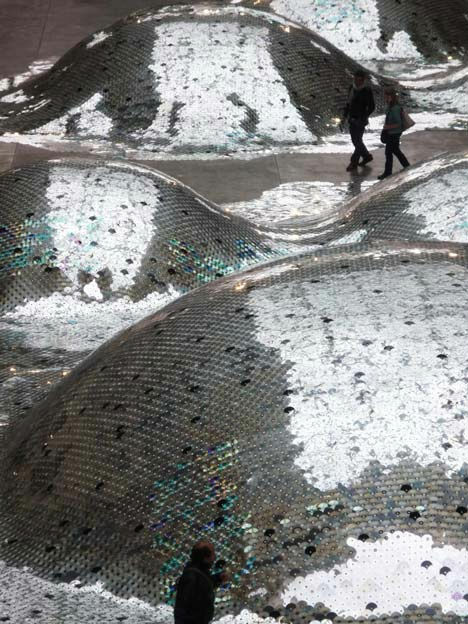 Inflatable mounds provide the strange, evocative hills of the landscape.